Congratulations SyFy, you've got a real winner with this one. Where to start? Another reviewer nailed it perfectly - minutes watching this show are lost forever. 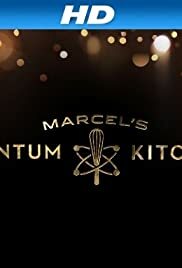 I pride myself on being able to find at least something interesting to point out about even the worst piece of trash but I'm at a loss with Marcel's Quantum Kitchen. This program probably didn't highlight the animal sanctuary charity which was holding the benefit in the way that they would have liked to have been featured plus I'm guessing that the party planner has already consulted his attorney. Good show Marcel - you rock!